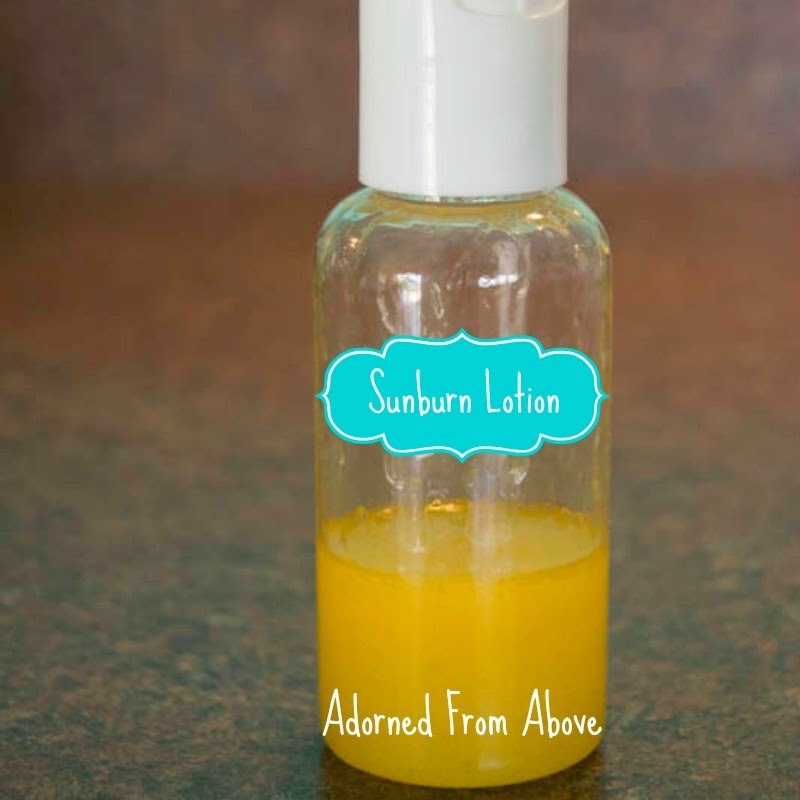 Pinning this for when/if it ever gets warm enough here to sunburn! I have very sensitive skin and I usually use 80+ sunscreen but sometimes you do get caught off guard! So sorry about your burn! I'm glad you're better now. You're clever to come up with your own concoction. Thanks for sharing it! Hi I'm so sorry you got the sunburn but this sounds really good making one of your own lotions to put on. I am going to pin this and thanks for sharing it. 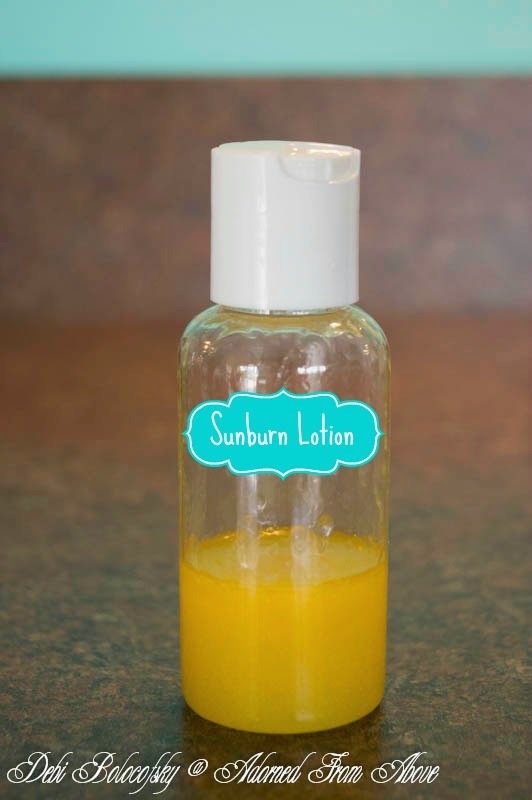 Wow I had no idea you can make your own sun burn cream. Sorry to hear about your bad burn. I have a question though...Do you make your own shampoo and conditioner? Thanks so much for commenting. My sunburn is better now. I haven't made my own shampoo or conditioner. I tried to make shampoo with the Dr. Bonners Castille liquid soap, but it made my hair really nasty. The no poo method didn't work for me either. You can make shampoo if you order a shampoo base, and I have done some research, but it seemed like I still wasn't going to get anything natural or less expensive. If you come up with something I would love to know. I am always looking for things like that. I have a air freshener spray going up this next week. But shampoos and conditioners have eluded me. Cool! I am pinning this for future reference! Thank you for sharing. Thanks so much for pinning and visiting. Let me know what you think if you try it. Thanks so much for the recipe!!! !